Three of Liverpool's Academy players visited the North Liverpool Foodbank this week to lend a hand to volunteers at the centre. 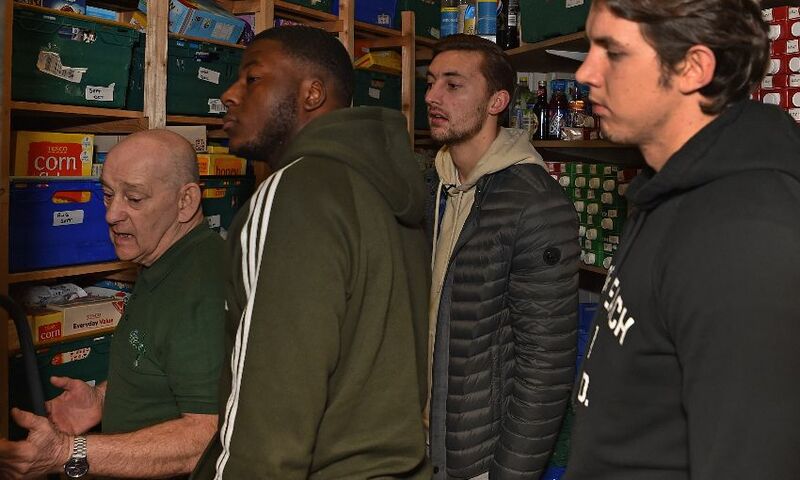 Reds youngsters Nathaniel Phillips, Jordan Williams and Mich’el Parker got stuck in with a variety of tasks at the Clubmoor centre – including helping to sort, weigh and pack food parcels – before learning about the vital work the foodbank does within the Anfield community. Phillips said: “Visiting the foodbank has definitely been an eye-opener and it was a privilege for us to come here and give our support. Food poverty and education is one of the key focus areas of the Red Neighbours programme, with foodbank collections taking place at all home games at Anfield. All donations are made into emergency three-day food parcels for local residents in need and so far this season, matchday collections have exceeded 4,000kg – giving crucial help to roughly 1,270 local families. Supporters attending matches can drop off any non-perishable food donations and toiletries at the foodbank collection points, which are open three hours before kick-off and located on Anfield Road, next to the club’s Family Park, and inside the new Anfield superstore. For more information on the Red Neighbours programme, follow @Red_Neighbours on Twitter.